On Monday Night, Remel London was joined on BBC Radio 1Xtra by one of Atlantic Records newest signings Jacob Banks. 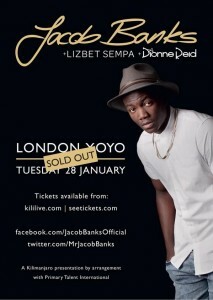 I have to congratulate Jacob Banks, as since recording the interview, his headline show is completely SOLD OUT! But please do continue to support Jacob, he has a lot of exciting ventures for us this year!